There are so many reasons to try making your own yogurt at home. For one we get to eliminate yet another source of plastic in our lives because very few yogurt companies offer their product in glass containers. 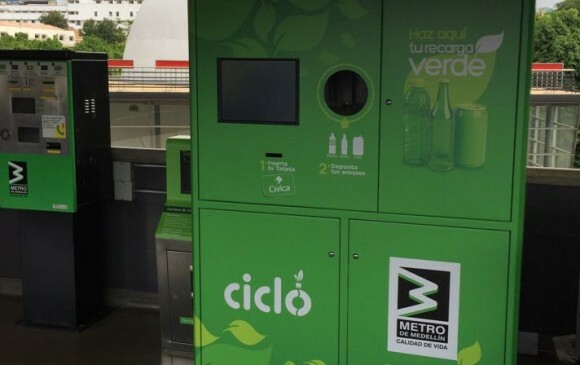 Yogurt cups are notoriously hard to recycle and are not accepted by many recycling plants. Another reason to make homemade is too have more control over what we are eating. You don’t have to worry about the laundry list of preservatives and additives.. you know exactly what is in your food because you made it. You can use local milk and/or raw milk as well, giving yourself the ability to up the health factor too. Another boon from DIY yogurt is the satisfaction of knowing you are more self sufficient and that you gained another important homesteading skill. Yogurt is just plain good for you too. It has lots of nutrients… protein, calcium, riboflavin and vitamin B 12. It is often easier to digest than milk… know doubt because healthy bacteria has been working at it. The lactobacteria from yogurt is good for colon health. The lactic acid makes it easier to absorb the nutrients .. like the B-vitamins. AND all those living microorganisms are supposed to be very good for our bodily defense systems, helping us ward off illness. 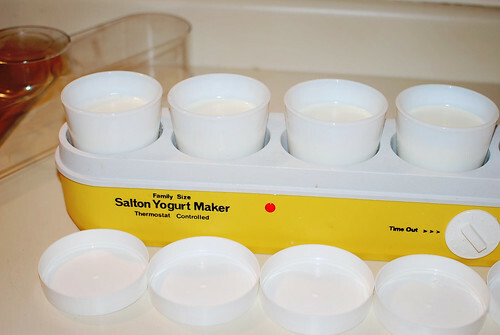 You can make yogurt (depending on the type) on your counter top using jars or a thermos. 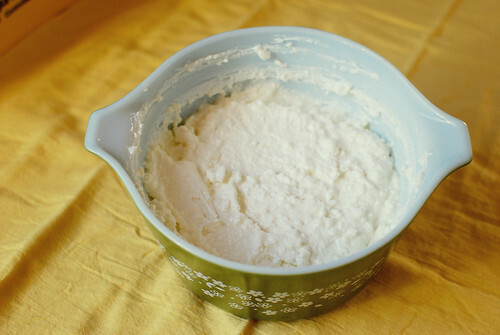 You can use pyrex dishes and a low temperature dehydrator or an oven to keep yogurt at the optimal temperature. And of course there is always a yogurt maker too. That is what I have been using, a vintage yogurt maker that my mom bought in the late seventies. 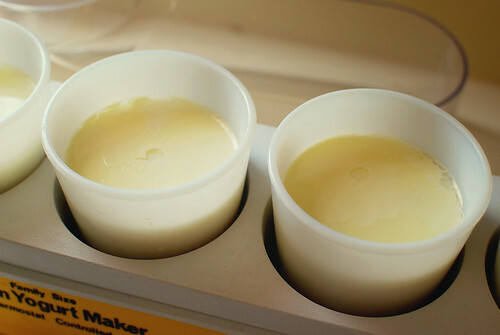 It is no frills and it gets the job done, keeping yogurt warm so that the live cultures can go to work. You can still find ones like these via eBay but Amazon also has some new yogurt makers that have good reviews. There is even an Easiyo thermos for yogurt making but I prefer glass containers. So how exactly do you make your own yogurt? Well, the process might be slightly different for another yogurt style but for Greek and most yogurt types you need to start by warming your milk on the stove (40 ounces). The live cultures in yogurt need a warm environment to grow but anything above 115 degrees will kill them so I heat the milk to about 115 and then let it cool to 110-112. This is not hot enough to pasteurize your local raw milk either, which a is a good thing. When the milk is the right temperature add a half cup of the yogurt from the previous batch and stir well. You can also use a half cup of store bought yogurt or a powdered yogurt starter. For the yogurt in these photos I used a local full fat milk with the cream still in it. When it is done you may see a watery substance on top. That is the whey and we need to get rid of it, for a thick Greek yogurt at least. 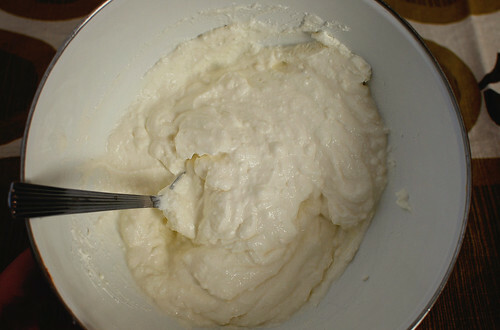 I put cheesecloth down inside a colander and pour the yogurt on top to drain. Put a bowl under the colander to catch the liquid. After 4-8 hours the whey will be drained and it will look like cheese. At that point you put your yogurt into a container for the refrigerator or a bowl for eating. 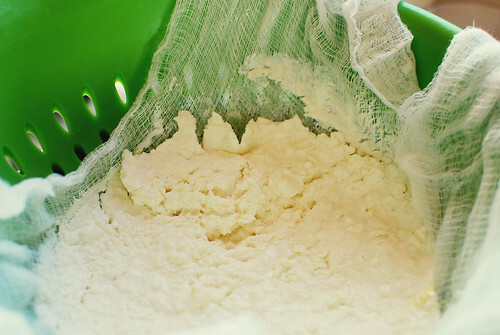 It is surprisingly easy to get the yogurt off the cheesecloth with minimal fuss. And of course once you have your yogurt made you can sweeten it with some brown rice syrup, honey, fresh fruit, etc. You can put in smoothies or stick it on some homemade sourdough waffles with syrup (yum, yum). I also like to eat greek yogurt with some brown rice syrup and preserved peaches or homemade blueberry compote. Do you have any yogurt making advice, experience, or tips to offer?